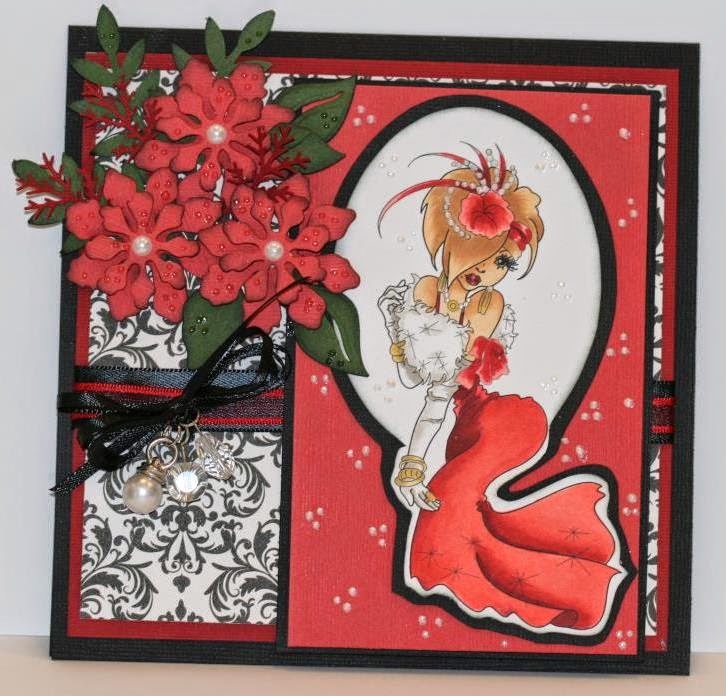 Here is my card using this stunning image called Grace from Whimsy digital designer Marrika Collins. I wanted this image to be a bit vintage. I decided to go with a color that I really haven't used very much, a coral with a little touch of black and dark red to accent. I added a small amount of liquid pearl to her head piece and around the image it's self. Awesome card! She may be a little bit vintage, but she's also a little bit sassy!! Awesome, love the way you cut it out, and the flowers are always a great touch! Nice and pretty! I just love the flowers and the touch of liquid pearl adds glamour to this pretty image!! !